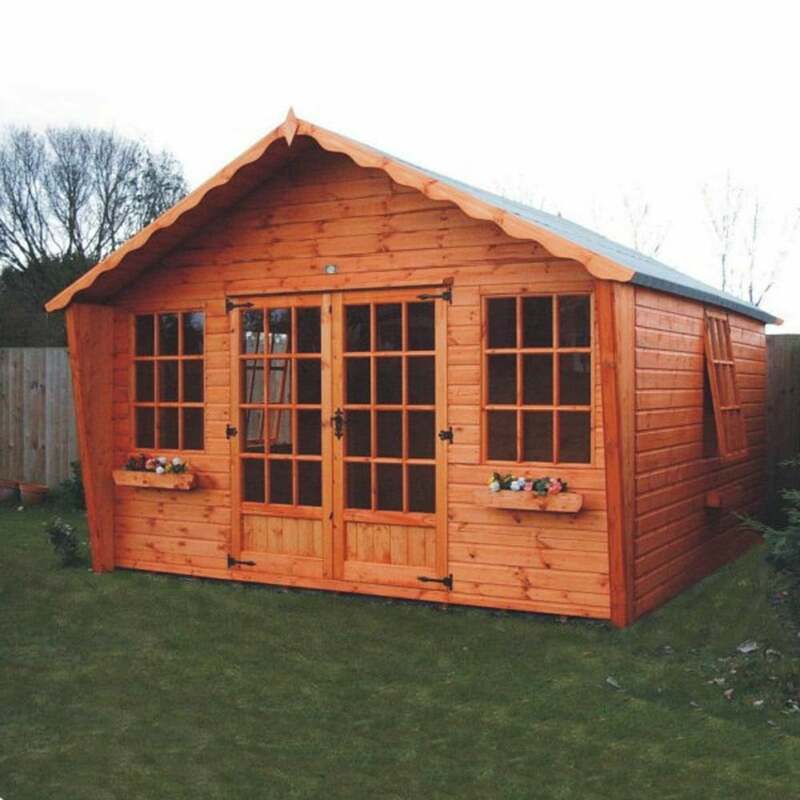 A1 Belton Summerhouse Cabin in 5 Sizes: The A1 Belton Summerhouse Cabin in 5 Sizes is a handsomely presented log cabin styled summerhouse. The traditional styling of this garden building ensures it will suit a modern or traditional garden space, and the choice of Leaded or Georgian style glazing allows the building to personalised to your taste. The Belton Summerhouse Cabin featured two wide double doors measuring a total of 5ft wide, allowing lots of space for easy access. With 5 comprehensive sizes to choose from, you’ll find one to suit your needs perfectly. Any size of the cabin will feature two side front opening windows with window boxes. The front double doors are a half boarded rustic style that gives this building great charm.